Often called The Sport of the Arts, Winter Guard brings music to life through performance in a competitive format. Mt. Lebanon Winter Guard performs using dance with various pieces of equipment. While equipment can vary among guards, Lebo Guard’s main pieces of equipment are flags, rifles and sabers. The Mt. 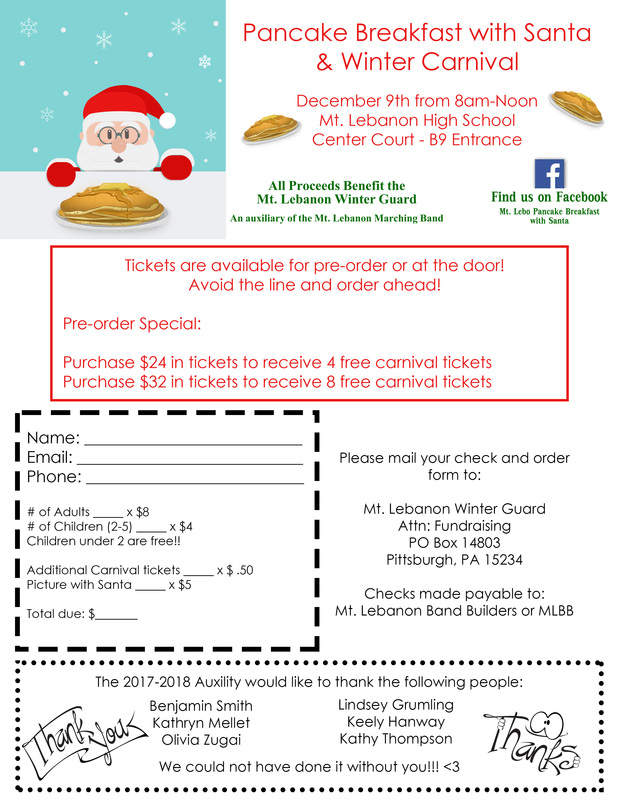 Lebanon Winter Guard program competes against other High Schools in Western Pennsylvania with Three Rivers Winter Ensemble Association (TRWEA) and nationally with Winter Guard International (WGI). We also host an annual Pancake Breakfast with Santa. You won't want to miss it! Check this schedule frequently for updates and upcoming fundraisers.